This outstanding magazine approached Cops N Rodders organizers wanting to be part of our show and support our charity of choice - Special Olympics Ontario through the Law Enforcement Torch Run. We feel that this partnership will allow us to explode with greatness for the car hobbyist and Special Olympics Ontario. 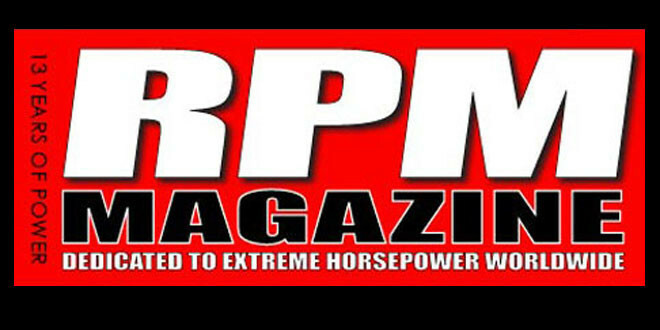 ​Stay tuned as we are working close with RPM Magazine to have a feature magazine vehicle at our show. See it up close and personal, meet the owner and see what it takes to have your car in a magazine of this calibre. Dedicatd to Extreme Horsepower Worldwide !!!! Once again, Action Car and Truck Accessories - Hamilton have stepped up to support this charity and car show! Now Rodders...show some support for them! Check them out on FB (Action Car and Truck) or on the web at https://www.actiontrucks.com/. They have been accessorizing cars, truck, vans, you name it for over 30 years! Now Canada's LARGEST automotive accessory retailer. Go get those parts, install and be sure to come show them off at Cops N Rodders ! Providing outstanding Professional Real Estate services for buyers and sellers. Contact Joseph Rosati and the team at Homelife Professionals Realty Inc.
​ located across the country. Classic Towing & Storage is not only known for its most diversified fleet in Ontario and quick support, but also for its exceptional customer service. We have skilled, highly trained and experienced staff designated specifically at corporate, public and private divisions ensuring flawless support and service for every individual client. We are also available for 24-hour dispatch of quick roadside assistance that includes services like car & battery boosts, gas delivery, flat tire service, car door unlock, service parking enforcement and other emergencies. ​Located right here in Hamilton at 475 Upper Wellington St.
10 year/400,000 km warranty on newer vehicles. Trillium's goal is to make vehicle ownership stress free by limiting break downs and providing complete car care. Today's vehicles are constantly communicating. Trillium's technicians regularly participate in training to stay up to date on today's vehicle technologies. Extreme Roadside & Recovery provide 24-hour towing and roadside assistance seven days a week. anywhere in the Hamilton, Burlington, and Grimsby areas. Fast response times, reliable and dependable service you can count on. ​Broken Down? Locked your keys inside the vehicle? Involved in a collision? Just need a tow from a to b? Extreme Roadside is here to help! Extreme Roadside offers a wide range of towing and roadside services. With our fleet of trucks we can offer you fast response times 24 hours a day, 7 days a week. Lant Insurance Brokers understand our passion for classic cars. They’ve been protecting our passion since 1978, so they know what’s best for our classic. They have us covered with classic car insurance designed for the unique needs of classic car collectors in Ontario. Whether you own an antique, classic, modified, or special interest collector car, Lant offer a Hagerty Classic Car Insurance policy tailored just for you. It is why they’ve been the best option for classic car insurance for your collector car for almost 40 years. Protect your prized ride with Lant and get insurance coverage that is based on your needs, along with high-level service from their knowledgeable staff and access to an extensive network of resources.